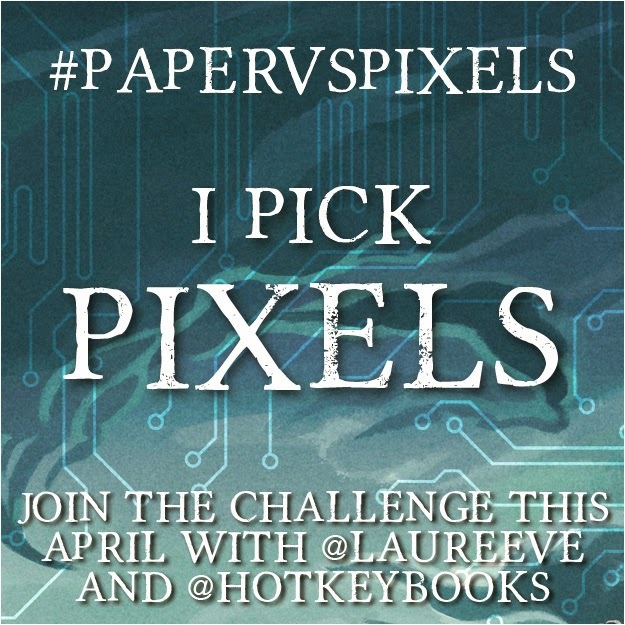 So this year I've decided to participate in Jamie from The Perpetual Page Turner's end of year survey for the first time! I had a lot of fun doing this and will definitely do it next year too. The Fault in our Stars by John Green. I thought I would love it but...I didn't. Two Way Street by Lauren Barnholdt as well. Both got 3 stars off me. I Capture the Castle by Dodi Smith. Wasn't sure if it was my thing, ADORED IT. Ha well, I worked in a book shop in the run up to Christmas and the book I recommend most professionally was the Percy Jackson series. I just love them and they are perfect for everyone. I probably recommended Sarah Rees Brennan to most people outside of work though! SRB is ma fave. Hmmm. Anna and the French Kiss was out of my comfort zone when I read it, cause I didn't really read any romance-y contemp books, but NOW I DO BECAUSE I LOVE THEM AGAIN. More recently, all the fantasy I've been reading (The False Prince, Poison Study, Black Magician Trilogy, Game of Thrones) as it was a less-read genre for me. The Unbecoming of Mara Dyer. Oh, how I love that book. And Out of Sight, Out of Mind by Ally Carter. Anna and the French Kiss I hope...and Unspoken by Sarah Rees Brennan if I don't finish my re-read it at the end of this year, and probably The Unbecoming of Mara Dyer too. No seriously, I think it's beautiful and interesting and mysterious and I just adore it. Ooooooh. Erm, I though Smoulder by Brenna Yovanoff was really beautifully written, but probably Jellicoe Road by Melina Marchetta. Jellicoe Road for SURE, why did I put it off?? It was perfect! And The Black Magician Trilogy, it's been out FOREVER. “In my rush, I hadn't tied my shoelaces. Noah was now tying them for me. He looked up at me through his dark fringe of lashes and smiled. The expression on his face melted me completely. I knew I had the goofiest grin plastered on my lips, and didn't care. "There," he said as he finished tying the laces on my left shoe. "Now you won't fall." “Wait," I said as Noah slipped a book from a shelf and headed toward the door. "Where are you going?" But I don't want you to. "But I need to go home," I said, my eyes meeting his. "My parents are going to kill me." "Taken care of. You're at Sophie's house." "Where's Katie?" I asked, trying to sound casual. "And your parents?" I asked. “What's with what you're wearing?" Griggs asks while we stand outside waiting for the others. "It's pretty hideous, isn't it?" I say. "Don't force me to look at it," he says. "It's see-through." “Why are you putting on lip gloss, my daughter?" Dad asked ." Trip to the library? Trip to the nunnery? I hear the nunneries are nice this time of year." "Not a date; I still remember Claud," Rusty said, and grabbed her ankle. " I forbid it." "You introduced me to Claud," Kami pointed out. "I'm a bad person," Rusty mumbled. "I do bad things." Longest — Game of Thrones...omg. 800+ pages? (If I finish it...) or erm City of Lost Souls was pretty long. Shortest — Tempting the Best Man by J.Lynn, more of a novella, really. Like, all the endy bit of Anna and the French Kiss, I was squealing all over Twitter to Liz about it! All the relationships in Unspoken, Sarah Rees Brennan does them perfectly, always. The family relationship in All These Things I've Done I really liked too. The Black Magician Trilogy by Trudi Canavan, recommended by my friend Laura. You were so right Laura, SO RIGHT. I'd like to try and post consistently with fewer breaks, and more interaction with other bloggers, especially those also based in the UK. I'd like to read at least 100 new books, get my TBR pile down and carry on reading a wider variety of books. And there we go! Have you guys completed one of these? If so, link me!! Look out for my posts soon which will have my top ten reads of 2012 amongst other listy-type posts! I'm enjoying reading everyone's end of the year survey. I think it's funny that everyone seems to have one book that is the answer to almost every question. 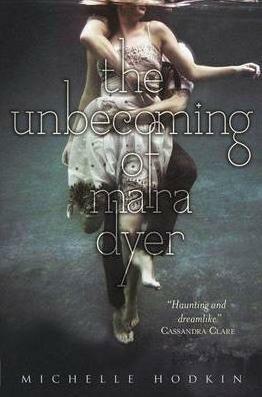 Sadly I haven't read The Unbecoming Of Mara Dyer yet. I really REALLY need to. Glad it wasn't just me! SO excited for Evolution. Haha I am so looking forward to The Indigo Spell as well, it IS in my top ten 2013 reads!! I still haven't read Mara Dyer! Hadn't really been that interested before, but you've got me curious ;) So glad that thou loved Anna though! Isn't it just perfect. What a brill post! Great idea!